Stop dealing with companies that don't know how to help you. 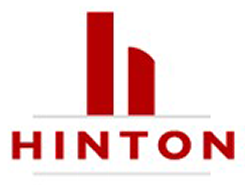 At HINTON Sales, Inc. our consulting services make sure you find what you are looking for. Finding the right commercial cleaning products has never been easier. Our company represents high-quality cleaning chemicals and systems for the commercial cleaning industry. Manufacturer's Rep Association, Young Executive Society, and a Charter Member of Georgia Sanitary Supply Association. HINTON Sales, Inc. in Norcross, Georgia, is a company that specializes in commercial cleaning solutions. We represent a number of manufacturers in the janitorial and maintenance supply industry. Our owners are certified manufacturer representatives and bring more than 30 combined years of industry experience to the table. Since the company's inception, the primary business strategy has been to work directly with end-users to ensure product placement in our territory market. This strategy has allowed us to develop and maintain a network of relationships in our market. These relationships allow us to maintain our corporate integrity and growth in a dynamic, ever-changing environment. Contact us to learn more about what our company can do for you.